Scouring the globe for new talent should be at the top of any priorities list for businesses. After all, an increasingly global economy means that just as talent can be found anywhere, it can be taken from anywhere. Employers and entrepreneurs are under immense pressure to provide prospective workers with benefits, perks, and a great career experience where opportunities exist. For many just starting their careers, internships provide a quick pathway to finding the jobs they need and provide employers with benefits as well. Recently, Justin Cobb, global business consultant and entrepreneur, sat down to discuss with emerging leaders the importance of internships. For young entrepreneurs and those exploring a variety of possible career trajectories, internships allow for a taste of what can be expected, according to Justin Cobb. “Before committing to an employer with a strict contract or embracing years of study and preparation for a field you might not enjoy, pursuing one or more internships is highly recommended”, he was quoted as saying. “With most internships lasting for a few months, leaders-in-training can learn the ropes of what it’s like to work in a particular industry, as well as for a particular employer”. Businesses and entrepreneurs also stand to benefit from the presence of internships at their enterprises. Given that internships operate on an unpaid basis in most situations, those seeking to expand their business can procure temporary assistance in doing so during the hardest of times. Justin notes that a variety of his clients utilize internships as a way to manage increased workloads and generate publicity for their businesses. However, Justin Cobb noted that the benefits do not stop there. “Finding new talent among the latest generation of graduates and skilled workers couldn’t be easier when internships are on the table”, he said. 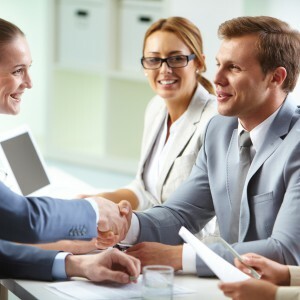 Ultimately, internships help connect businesses with prospective employees who have an interest in the industry and who may prove to be valuable, permanent additions. This evaluation process can often be viewed as an extended interview, where employers have an opportunity to learn more about the newest wave of potential recruits. Justin recommends to clients that internships be offered for this reason above all else. As the nature of the workforce continues to shift, Justin Cobb will continue to advise his clients on the best strategies involving a plethora of decisions. With respect to internships, the company recommends that entrepreneurs and businesses consider utilizing them to maximize productivity, evaluate new talent and bridge the gap during difficult times.